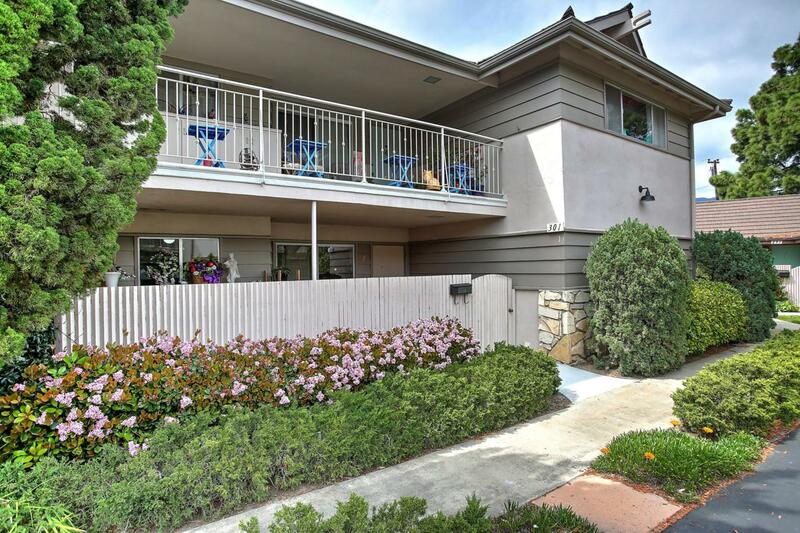 In the center of the most convenient neighborhood in Goleta is Encina Royale. This condo is in a great location in the community, next to the woodshop where you can enjoy a wide array of tools for any project. Also, very close to the clubhouse with tons of amenities. From the workout room for keeping fit to the koi pond where you can meditate, this community has it all. This is a wonderful downstairs corner unit. Soak up the natural light in the morning by enjoying your cup of coffee or tea in the fenced in front porch. The back patio is surrounded by shrubbery creating a private area to unwind during the evening. The unit has two bedrooms perfect for entertaining guests or an office space. Come and check out why everyone loves living here. 55+ community.